Although we are a public relations firm, fields like advertising still sit closely with our line of work. With the state of the economy stores are forced to close down around the country. 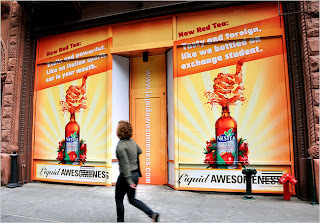 Check out what these landlords are offering companies in this article… creative storefront advertising! 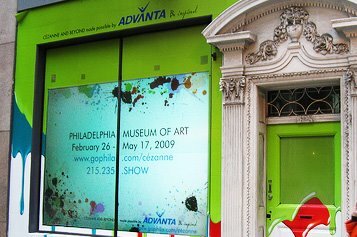 If you live in Philadelphia you can even see an Advanta sponsored storefront ad on Walnut Street! So what do you think about these ads? Previous Post Goodbye From Me, Also!